Donald Trump thinks he’s playing tough against the Democrats since his legal lapdog Bill Barr claimed he was innocent of collusion and corruption and Trump believes he can win over the American people with his lies and insane rhetoric trying to justify the false finding of the Mueller report before it is released to the public. 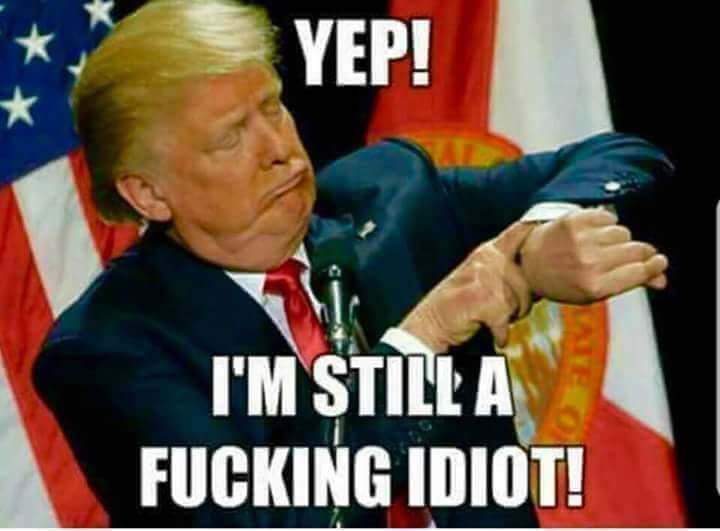 Maybe he can make his brain dead followers believe him but I can’t believe he is convincing the rest of the American people who hate him and know he is a compulsive liar and criminal. Unfortunately, too many Americans are focused on their smartphones and do not care about truth and justice and politics. Too many Americans listen to the biggest liars in the Media, Fox News, Rush Limbaugh, and every other lying sack of corporate-owned commentators in the right wing media. Americans make up half of my visitors to this website monthly, yet I have thousands of readers from every state in the U.S. This month so far I have had tens of thousands of visitors from over 100 countries visit this site. I believe my readers are some of the most politically astute readers in the world. Many are from countries now undergoing political revolutions. I am certain that few Trump supporters or Republican loyalists read this website however, that is “ok” with me. Over the last 20 years, I have been a broadcaster on television and radio. I have fought hard against the Right-wing Media and have been censored, threatened and taken off commercial radio stations because I refuse to speak lies, and support anyone or any company that lies, cheats and steals from the public. When I first began my FM Radio show in 2003, a study had been done by the Democratic Party regarding Conservative vs. Liberal talk shows on commercial radio in the U.S. Their study concluded that there were 3000 hours per week of Conservative talk radio as opposed to 84 hours for Liberal talk radio. Within months of my first broadcast, my program became #1 in its timeslot, in the New York market. Hundreds of thousands of listeners tuned into my program because I spoke to liberal activists and politicians, authors and actors who could not get air time to speak about their views or their nonprofits or their books and documentaries. 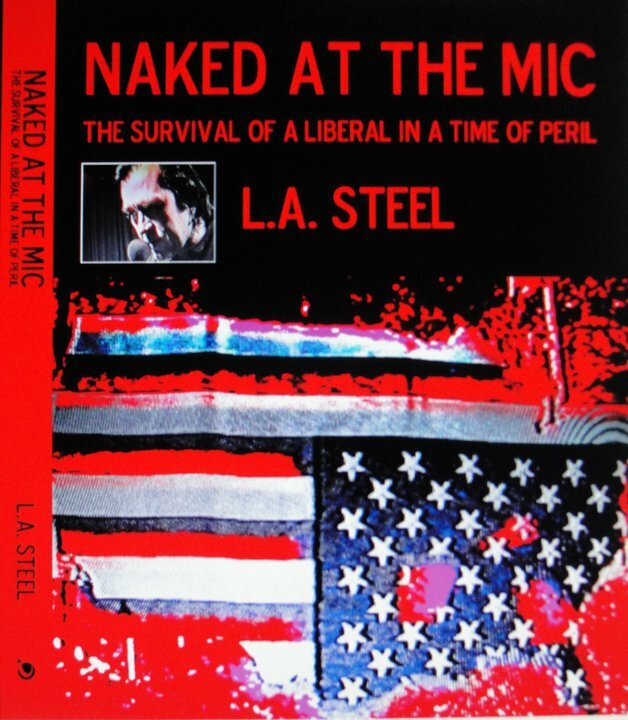 I was one of the few radio hosts in the country to proudly and aggressively bring these views forward as well as bring my audience relevant news and commentary on the Iraq and Afghanistan wars and the corruption of the G.W Bush administration. I also expressed my disappointment with the Obama administration policies and the massive recession we entered into and I named the financial culprits and criminals who caused it. I have seen this Republican Conservative media insanity and their complete and utter stupidity before and have combated it for the last 20 years on radio, television and in featured documentaries and in books and on this website. There has never been a more sinister president in my lifetime than Donald Trump nor has there been a more criminal Cabinet with the exception G.W Bush and his administration of war criminals and neocons. Today this country is again at war with the Republican criminals in the Media and Government and we are still at war in Afghanistan and Iraq and Trump has just sold the Saudi regime nuclear technology to build nuclear weapons. The American people are choosing sides in this war, and most have already chosen who to support. Currently, all moderate and liberal Americans seem to support revolutionary tactics to take back their country and deliver it from the stranglehold of Republicans and their billionaire donors and POS president. It must happen soon, waiting for 2020 allows Trump and Republicans time to destroy this country by needless war and wasteful spending, while their media minions create a greater divide and hatred amongst Americans. Revolution must begin now. It must be made now in our minds and hearts to save our country for all the good we can do for Americans and people around the world rather than our government stealing our taxes and leave us without social safety nets of Social Security and Medicare and Medicaid and food assistance, as well as affordable HUD-sponsored housing for the millions of homeless in our country. Republicans and Trump have no soul or compassion for humanity, they are heartless, cruel, greedy, foolish and tyrannical and must be stopped and banished forever from American politics and swept from the government like an infestation of plague-ridden rats before they completely infect and eat away the basic structures and foundation of American freedom and Constitutional Government.